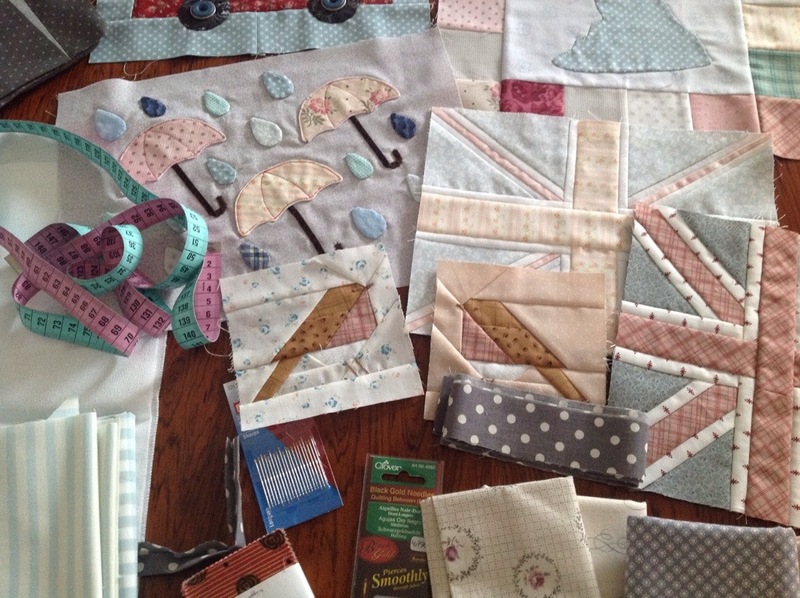 A big quilting project comes to a close: my Farmer’s Wife quilt. Someone asked me the other day how long it took me. I said I didn’t know but I guessed it could be a whole year. Now, I have looked it up in my blog chronicles, and to my surprise I started out on this journey more than two years ago. In March 2012, I posted about the first square, Wrench. Little did I know that it would take me that long to finish it. But that is exactly what happened today. 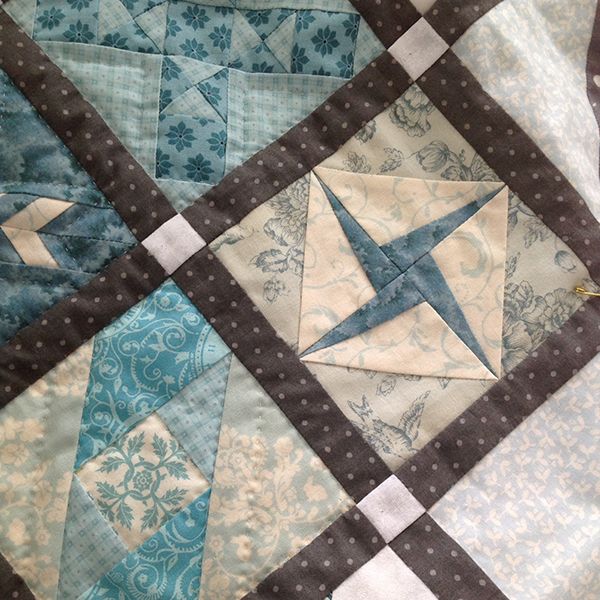 I finished the quilting a couple of days ago. 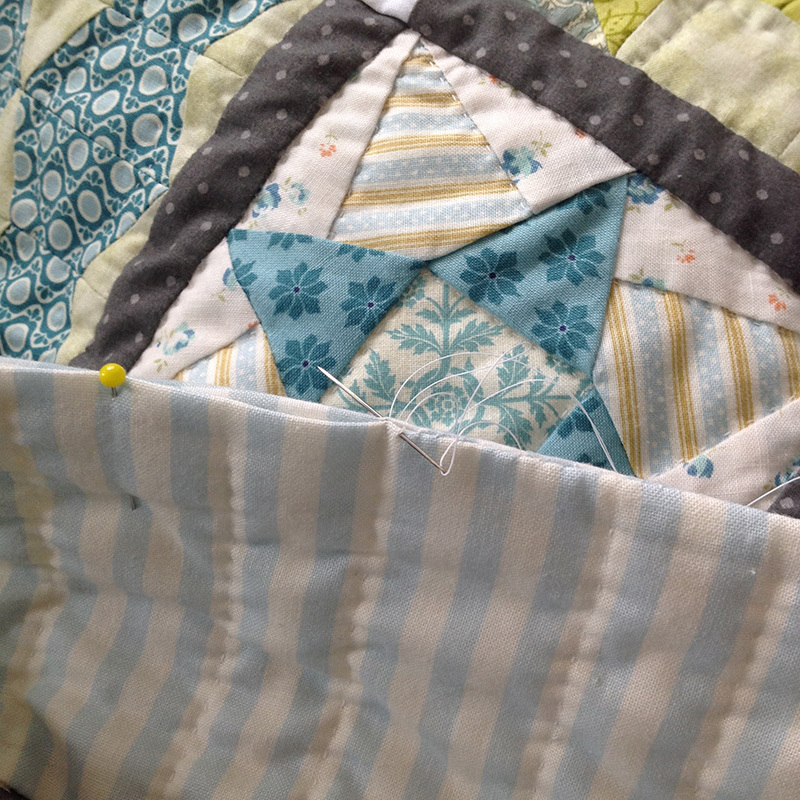 As mentioned before, I played with the thought of not binding the quilt at all. I have only done this once before, on a very small wall hanging. But this technique has nothing to do with size. It is rather simple, and I will quickly describe it here. 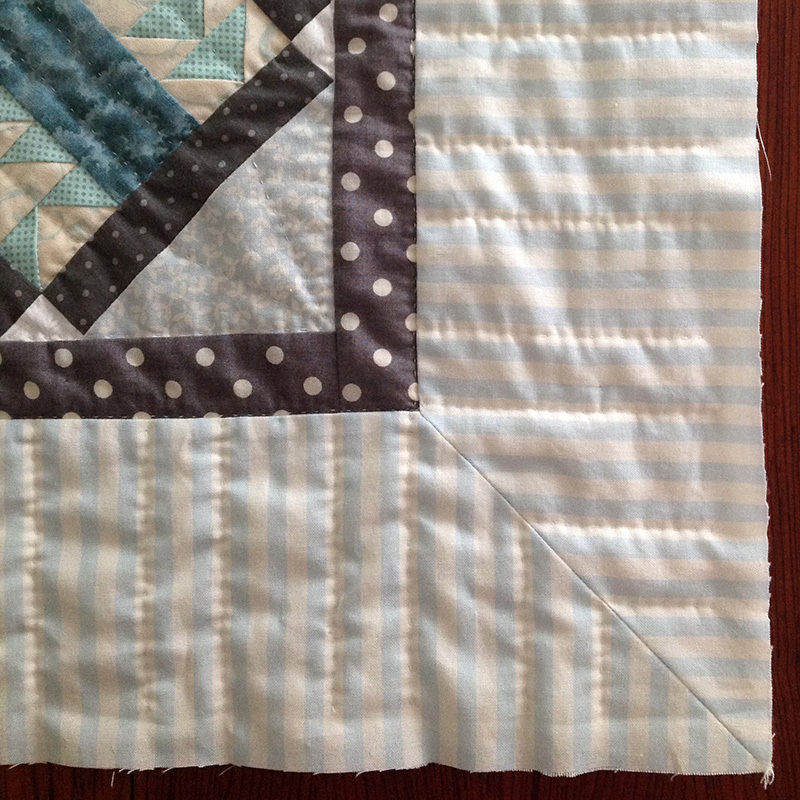 For this method, it is essential that you do not quilt up to the edge, but stop at least half an inch before it. 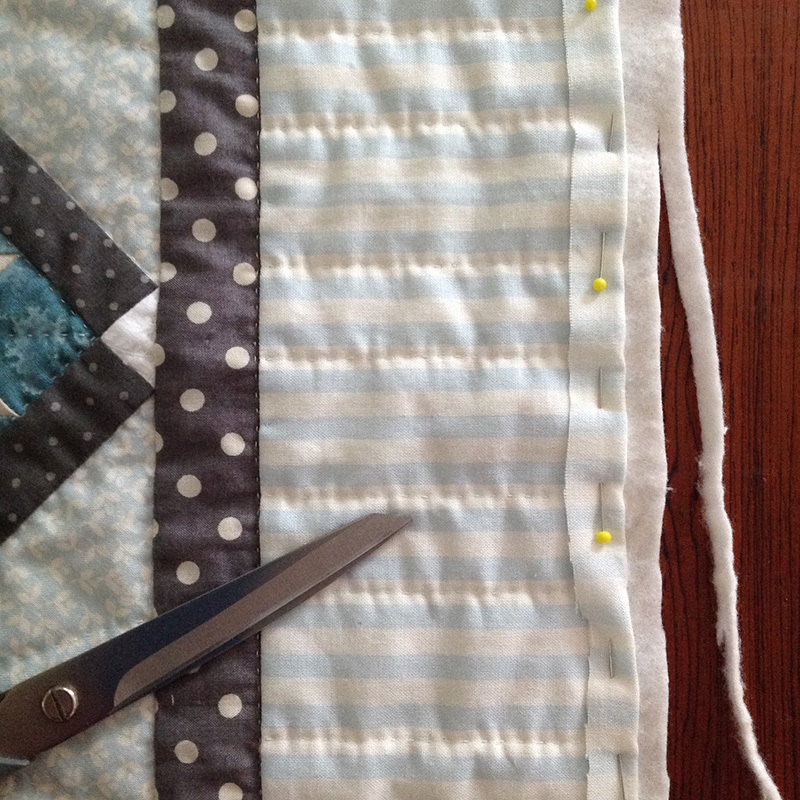 After all quilting is done, I cut the three layers evenly with a ruler and rotary cutter. Then I took some scissors and trimmed the batting a quarter of an inch so that top and back stand out. 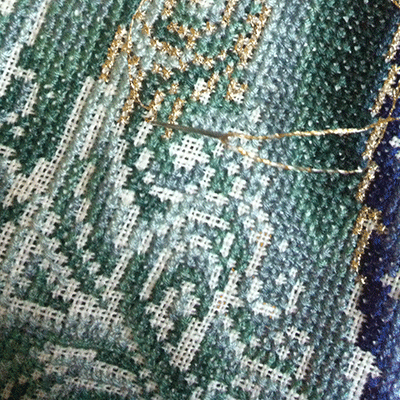 This is the trickiest part of it because I almost cut the backing fabric several times—or thought that I would. It cost me some nerves. 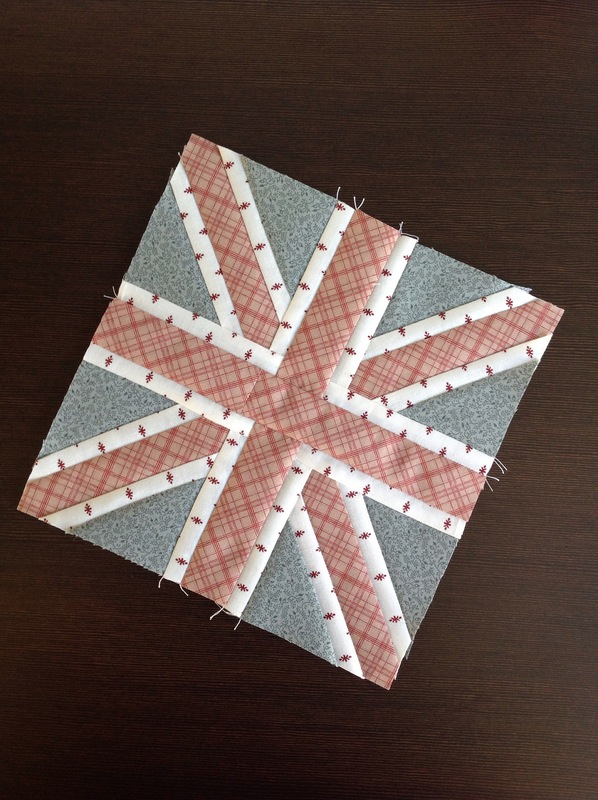 In fact, I found this way too exciting and decided to pin the top and back out of the way to be able to cut the batting of the three other sides without obstacles. 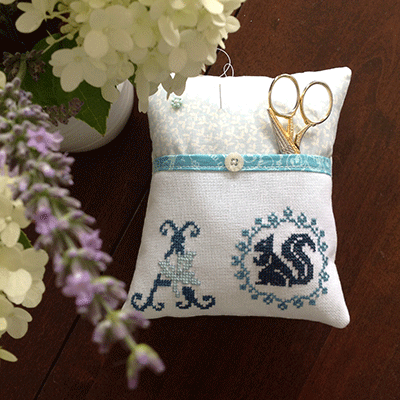 Now, on all four sides, the batting is a quarter of an inch shorter than the top and backing fabric. Next, I folded the protruding part of the top and backing inside, enveloping the batting with the backing fabric. 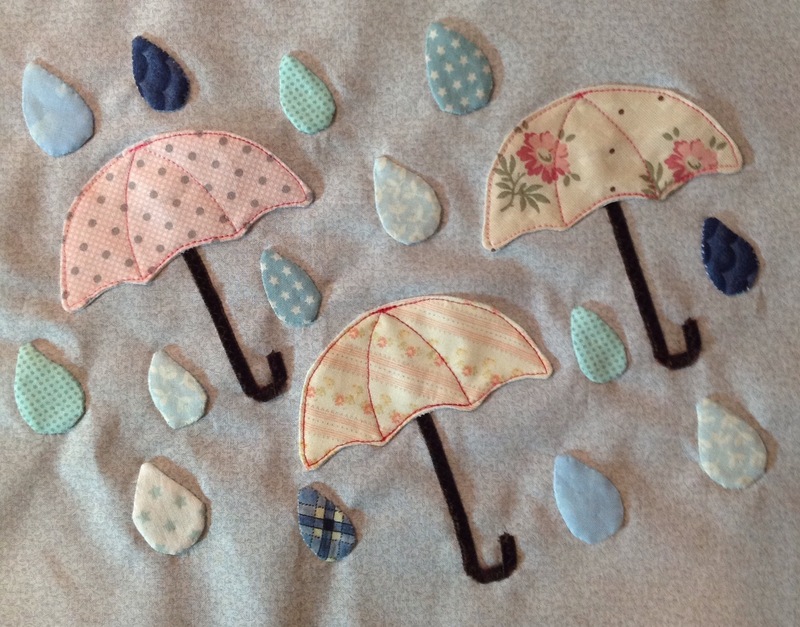 I pinned it and then sewed it with an invisible stitch by hand. 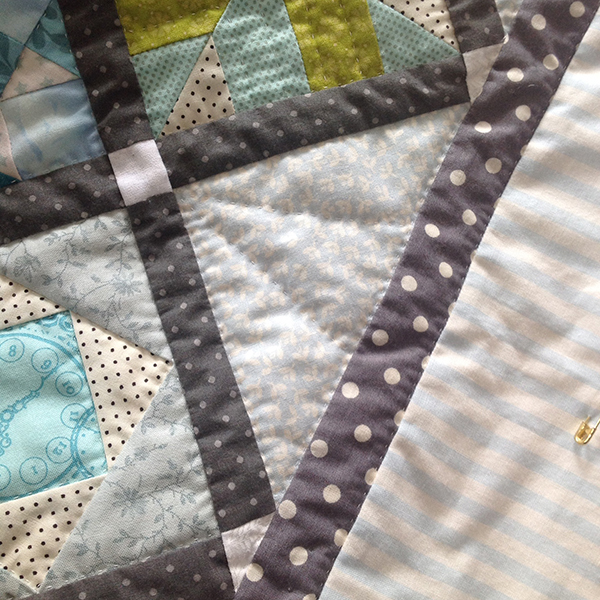 And I am very pleased with the result of no binding. 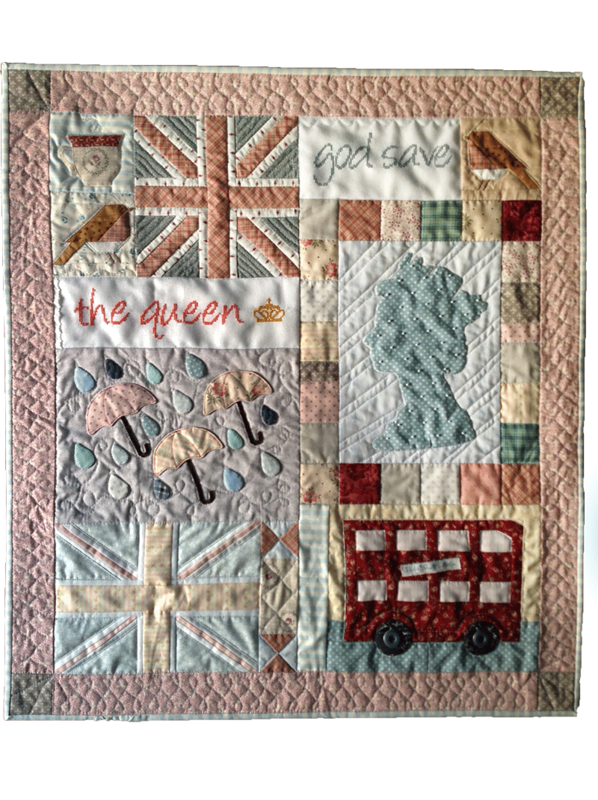 See a picture of the whole quilt here. 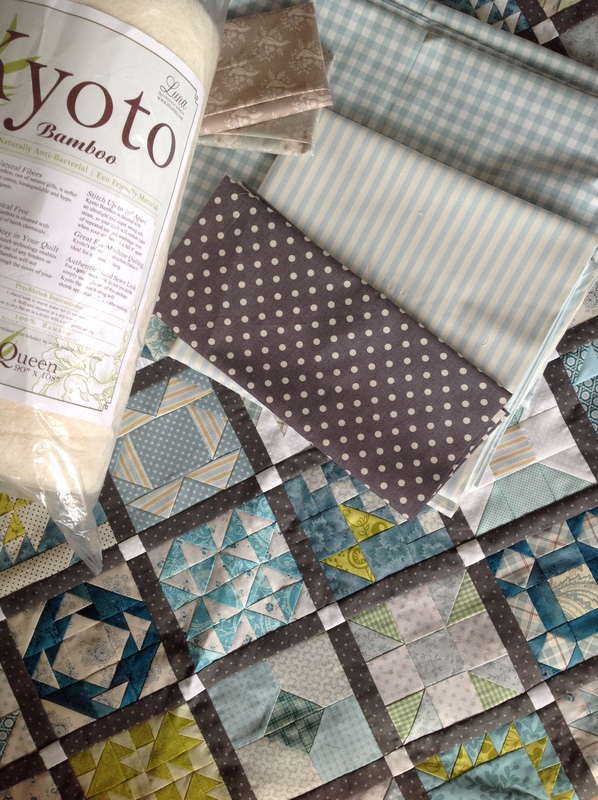 Posted in Uncategorized and tagged backing, batting, binding, farmer's wife, farmer’s wife quilt, Laurie Hird, quilt, top, turquoise. Bookmark the permalink. 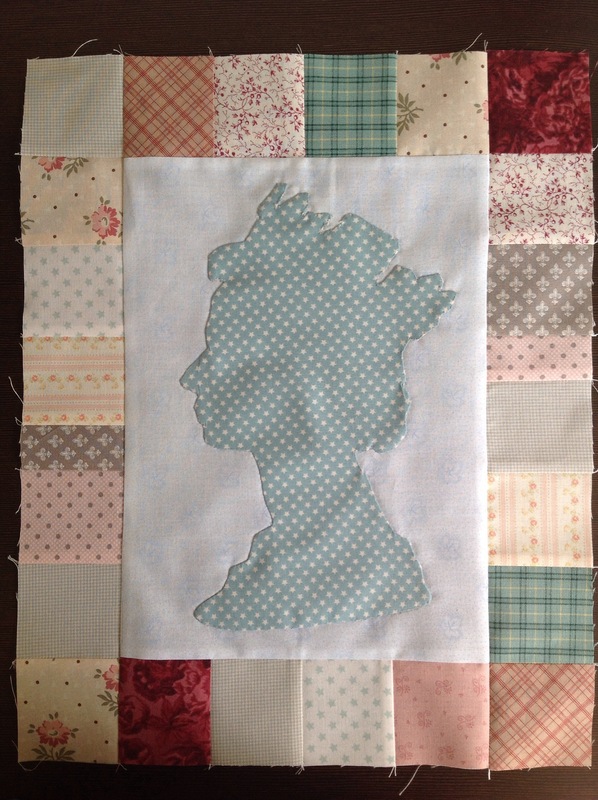 The quilting on my Farmer’s Wife quilt is done. It was done in no time—or so it seemed to me. As I imagined beforehand, I enjoyed re-visiting each square so much. So another big projects draws to a close. 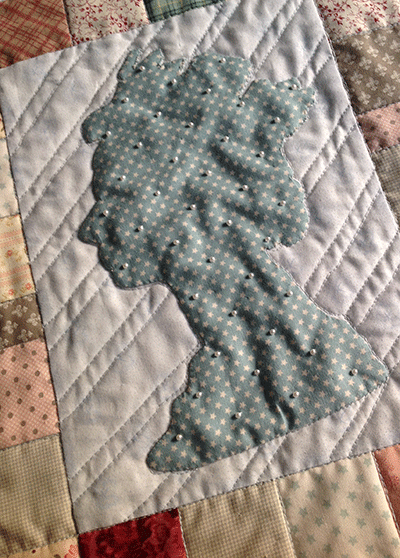 I quilted the outer border in just two days. 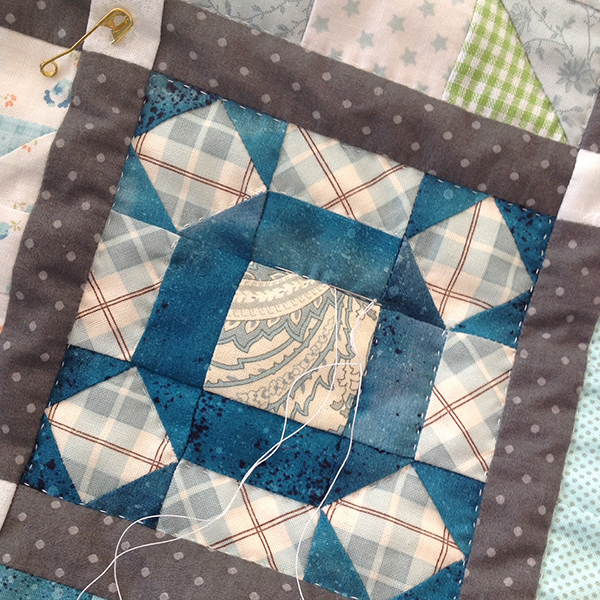 Now I am only waiting for my fingers to rejuvenate so that I might finish the quilt with a binding. Or rather, with no binding at all. 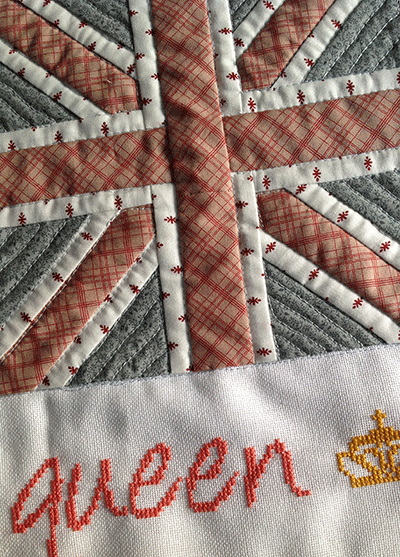 I also thought about labeling each of the 110 squares by embroidering their names on the sashing strips. I would have liked this a lot. But I didn’t come to a satisfactory solution as to how to do it, floss, and colour, without losing the present look and feel. 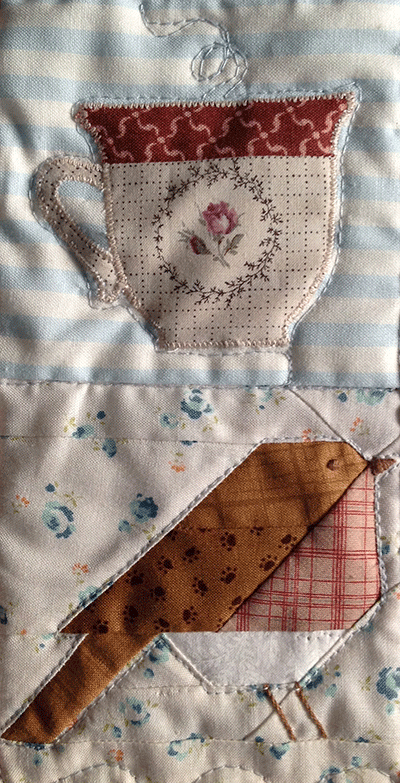 Besides, I think I should have done any embroidery before making the quilt sandwich, so I put the idea aside. So it seems the finishing date is only a few days away. 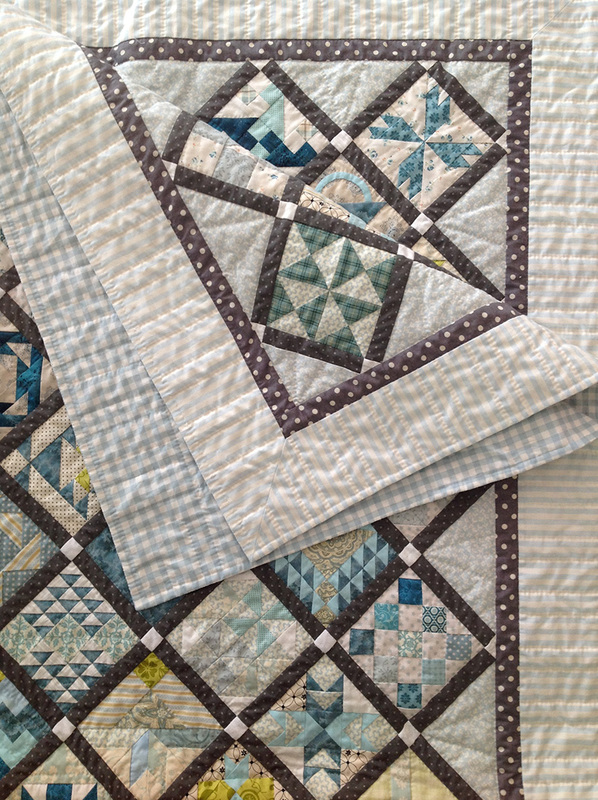 Posted in Uncategorized and tagged binding, farmer's wife, farmer’s wife quilt, hand quilting, quilt, quilting, sashing, turquoise. Bookmark the permalink. 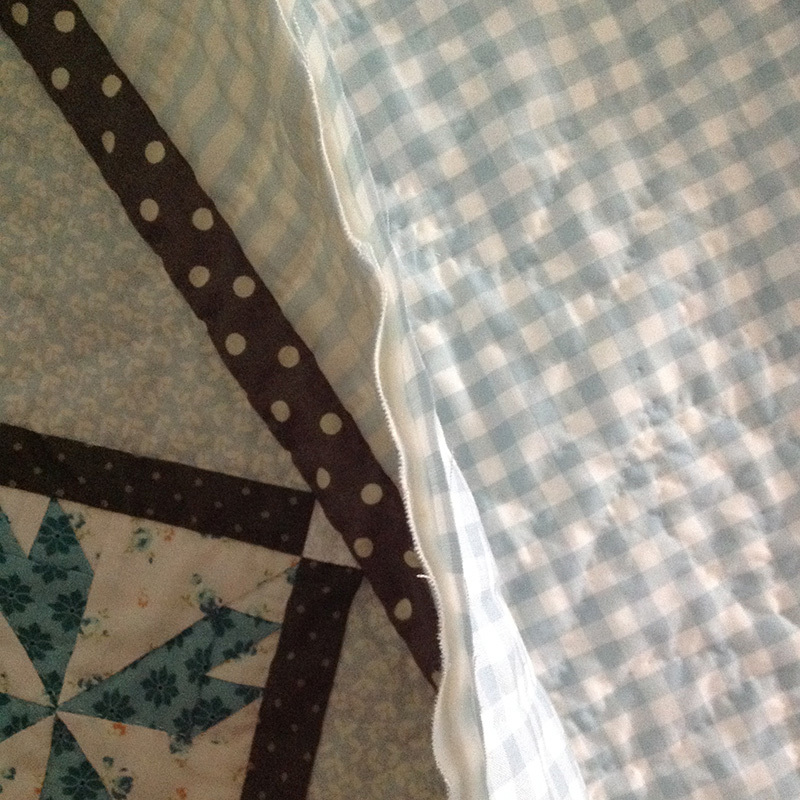 My Farmer’s Wife quilt has now two borders, an 1 inch grey polka dot, and a 4 inch white and light blue stripe. 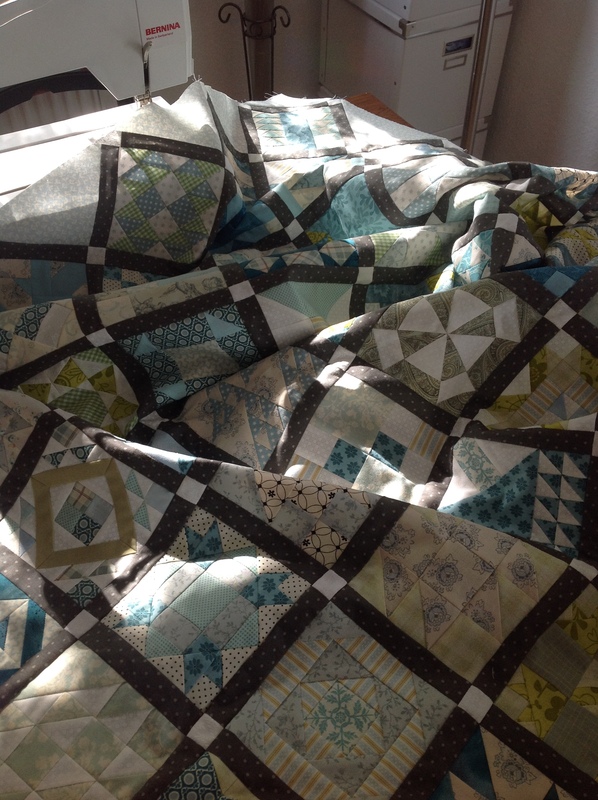 Since I moved in my flat in September, this is the first big quilt I wanted to baste. I used to do it on the floor, usually in our dining room which is tiled. I moved the table and chairs to the side and crawled on my knees for one or two hours. 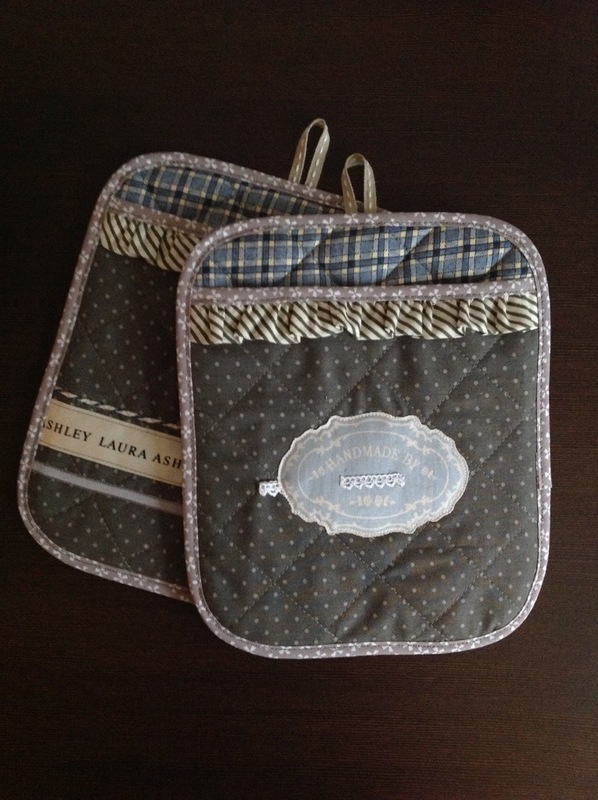 I wrapped the backing fabric and the quilt top around two boards I bought in a hardware store. Then I began to uncoil them on my dining room table, letting the batting float in between. 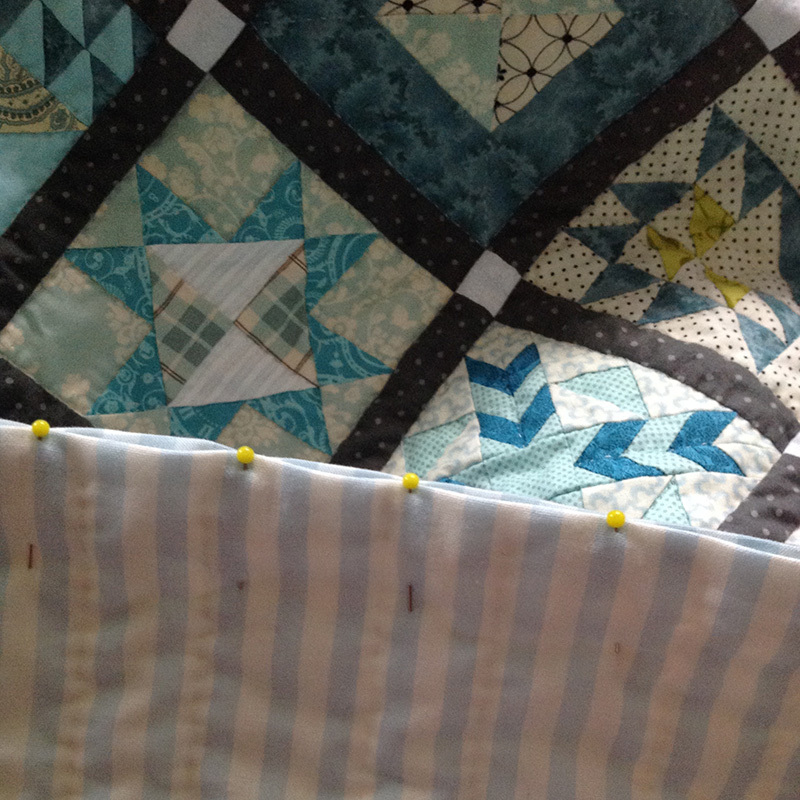 I smoothed out any wrinkles while going and started pinning. 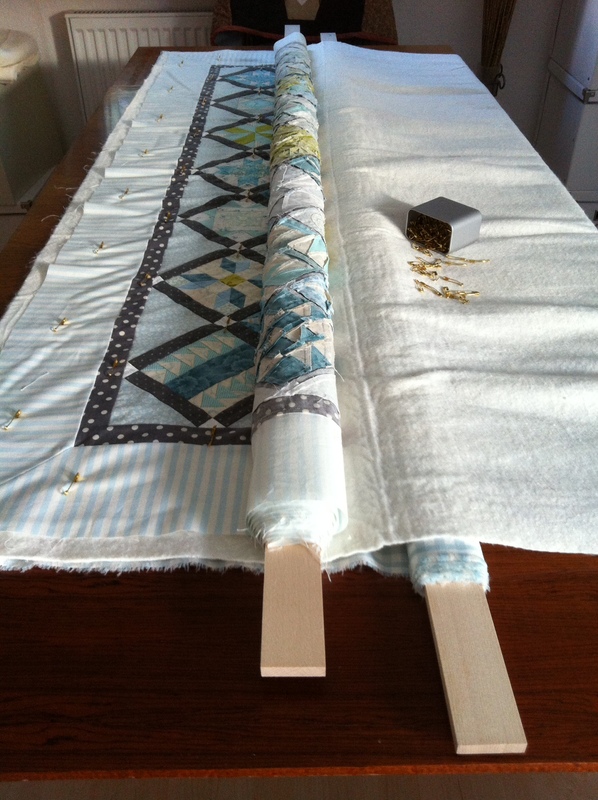 When I was done with the section on the table, I pulled it to the side and let it hang off the table, then unrolling another section of top and back. I admit that I had some doubts as to the exact direction of the three layers and any wrinkles since I was used to fix the top and the back on the floor with some tension. 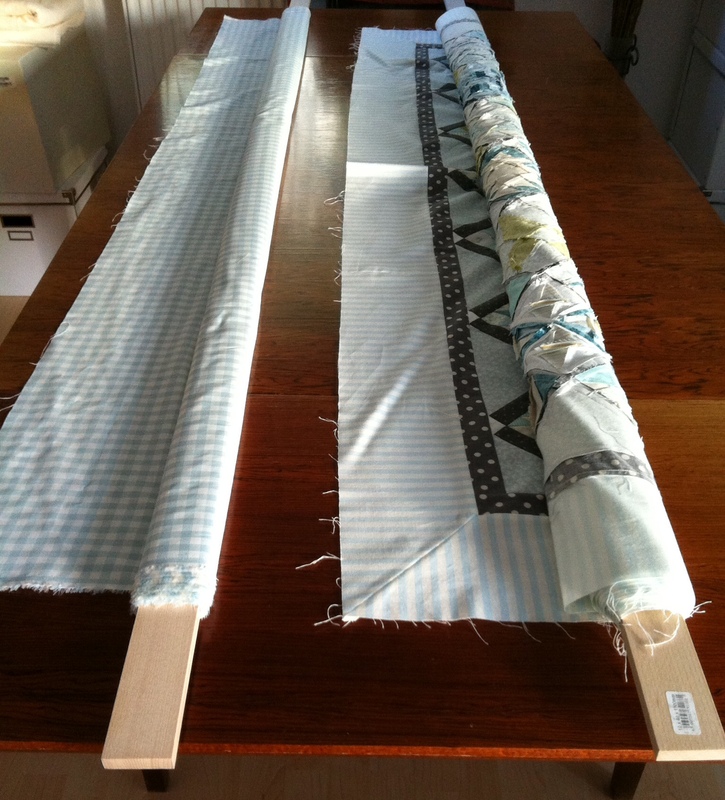 Moreover, it was somewhat exciting whether the backing and batting would be long enough or one of them would end before I had completely unrolled the top—but of course my measuring was correct and everything went well. I was done in no time—or so it seemed to me. And neither my back nor my knees ached the least bit! 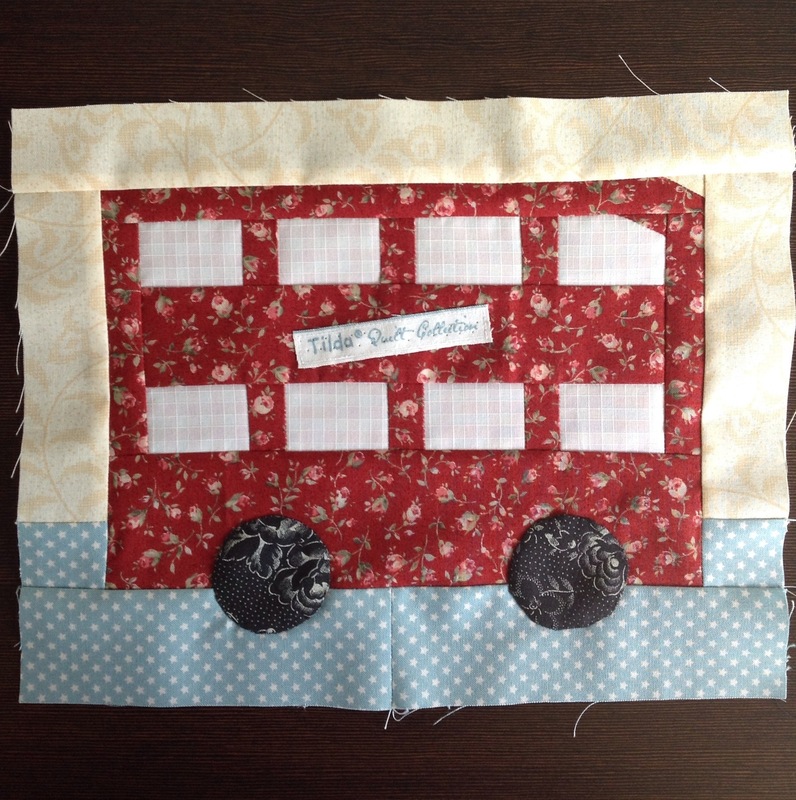 I decided to quilt every one of the 110 squares individually, making the design up as I go. I am looking forward to “re-visiting” them all. 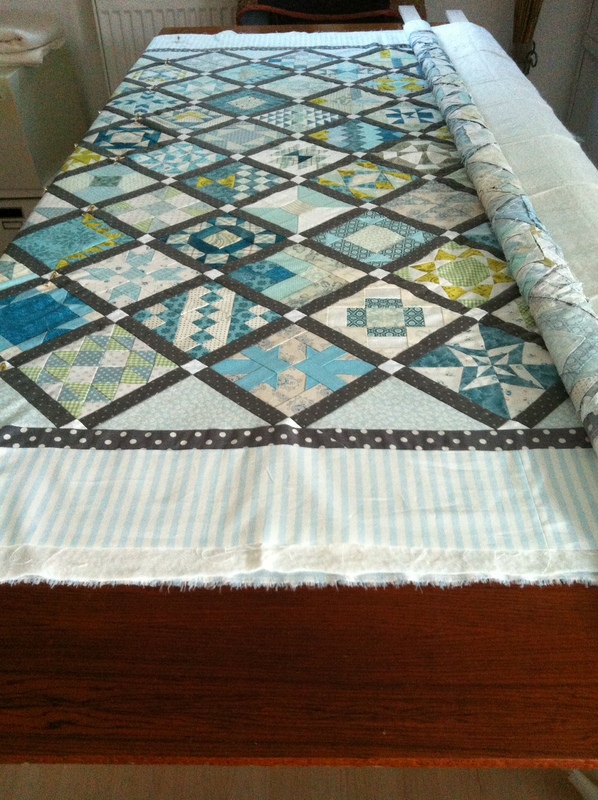 Posted in Uncategorized and tagged baste, basting, farmer's wife, farmer’s wife quilt, quilt, quilt borders, turquoise. Bookmark the permalink.